Mountain View, CA – How far could your middle schooler’s science project go? To the Super Bowl and beyond, if FreshPaper’s unlikely story is any indication. Intuit Inc. announced that FreshPaper, a simple innovation that has garnered international recognition for its potential to change the food system, is in the running for a once-in-a-lifetime opportunity: a television commercial during the 2016 Super Bowl. FreshPaper started as Inventor Kavita Shukla’s middle school science project and was inspired by a homemade “spice tea” her grandmother in India once gave her as a remedy for drinking contaminated tap water. A grassroots movement has since taken FreshPaper from a single farmer’s market stall in Cambridge, MA to farmers and families worldwide. The inspiring FreshPaper story has captured the attention of influencers like Oprah Winfrey and Richard Branson, and was the subject of a short film by Hollywood director Bryce Dallas Howard. In 2013, FreshPaper was presented with the INDEX: Award, the world’s largest prize for design (previously awarded to Apple and Tesla) by Her Royal Highness the Crown Princess of Denmark. FreshPaper sheets are infused with organic spices that keep fruits & vegetables fresh for 2–4x longer, naturally. One small sheet is simply dropped into fridge drawers, cartons, and bags filled with produce. 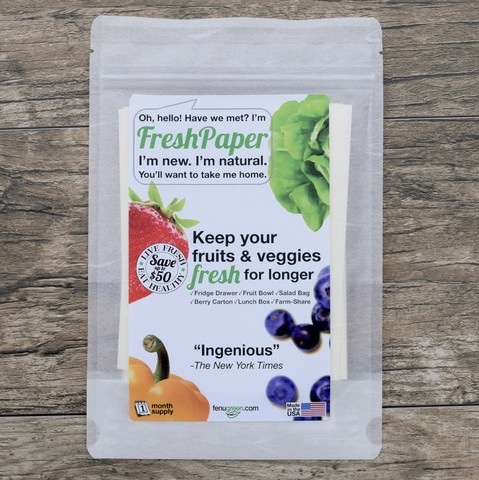 FreshPaper is made in the USA, and is recyclable, biodegradable, compostable. The winner of the Super Bowl ad will be determined by a global vote. 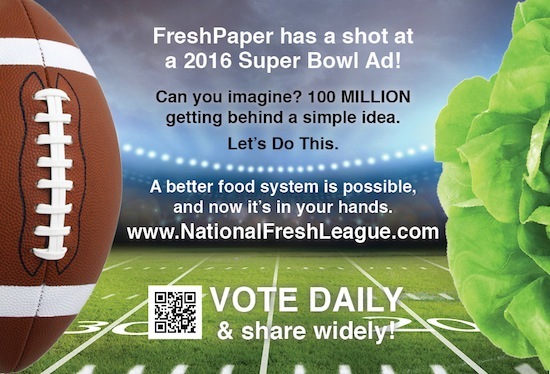 Supporters can cast their daily votes for FreshPaper at www.NationalFreshLeague.com. The patented and award-winning product is carried by national retailers like Whole Foods, Bed Bath & Beyond, Ace Hardware, and Amazon.com, and is sold in packs of 8 sheets (approximately a 2-month supply) for $9.99. FreshPaper helps customers save money, reduce food waste, and eat fresh. While the world’s farmers harvest enough food to feed the planet, more than twenty-five percent of the world’s food supply is lost to spoilage, resulting in massive land, water, energy, and human costs. Fenugreen is taking on this enormous, yet often overlooked, global challenge with its simple innovation, FreshPaper. FreshPaper helps consumers, retailers and farmers reduce food waste, naturally. Infused with organic spices, one FreshPaper sheet is simply dropped into fridge drawers, bags and cartons to keep fruits & vegetables fresh for up to 2 – 4x longer. FreshPaper is recyclable, biodegradable and compostable, and the patented & award-winning product is made in the USA. Today, FreshPaper is shipped to farmers and families in 35+ countries and retailers nationwide including Whole Foods, Bed Bath and Beyond, and Sprouts. Fenugreen launched in Cambridge, MA, and is now headquartered in Maryland. Kavita Shukla is an inventor, designer, social entrepreneur and an inspiration for young women and girls to believe in the power of their own ideas. She is the Founder and CEO of Fenugreen. 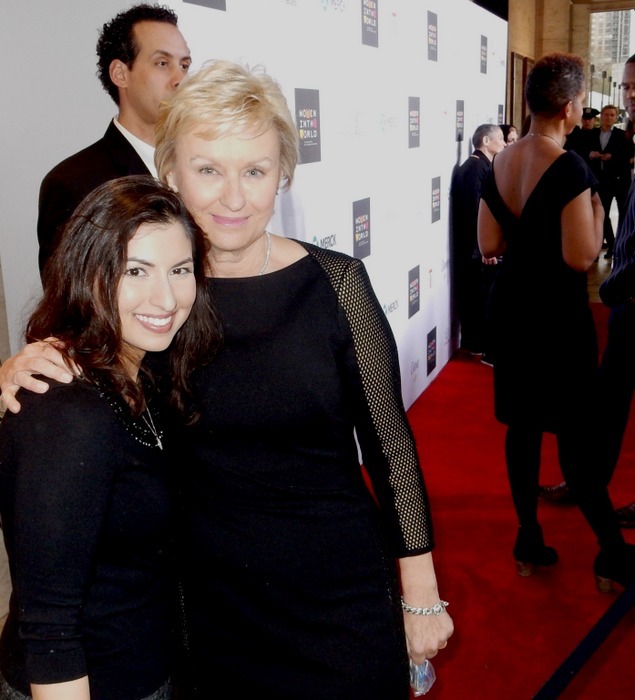 Kavita holds four patents, and has received several international honors as an inventor, designer, and entrepreneur, including most recently, the INDEX: Design to Improve Life Award – the world’s largest prize for design. Kavita has been inducted into the National Gallery for America’s Young Inventors and was a First Place Winner at the Intel International Science & Engineering Fair for her initial research on FreshPaper. 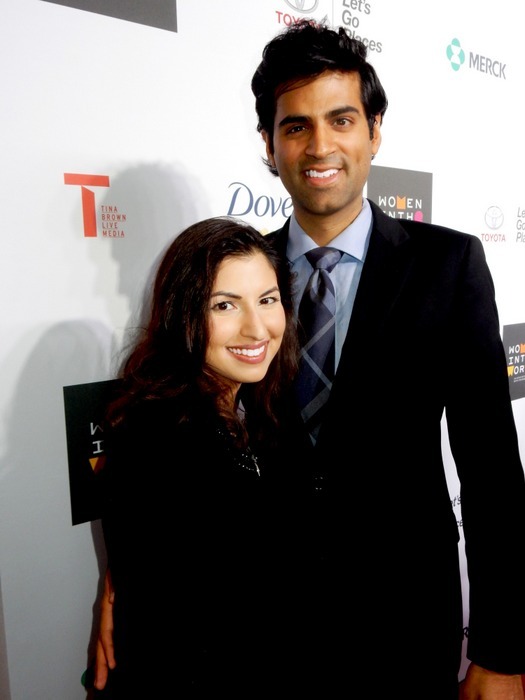 Kavita was a featured speaker at the Women in the World Summit at the Lincoln Center along with Hillary Clinton, Angelina Jolie, Meryl Streep, and Oprah Winfrey. Kavita’s work on FreshPaper, and her quest to take on global food waste, has been featured by CNN, The New York Times, Forbes, The Washington Post, The Economist, Bloomberg, Newsweek, The Guardian, Oprah Magazine, Glamour, and The Today Show. Kavita was also featured as one of the “7 Entrepreneurs Changing the World” by Fast Company and on the Forbes “30 under 30” list. She holds a BA from Harvard University. Its flagship products and services include QuickBooks®, and TurboTax® and Mint.com, which make it easier to manage small businesses and payroll processing; tax preparation and filing; and personal finance. ProSeries® and Lacerte® are Intuit’s leading tax preparation offerings for professional accountants. Founded in 1983, Intuit had revenue of $4.2 billion in its fiscal year 2015, with approximately 7,700 employees in major offices in the United States, Canada, the United Kingdom, India and other locations. More information can be found at www.intuit.com. Intuit and Small Business Big Game are not affiliated with the NFL or the Super Bowl. This entry was posted in News on September 11, 2015 by HIC, Harold Import Co..